Modern technology plays an important role in peoples life today. Most of the things that people do involves the use of technology. With its help, our workload became easier and faster to handle. And as society continues to develop, the workforce also needs to level their work capacity to the communitys development. That is why people became too busy with their everyday responsibilities. They usually do multi tasking in order attend all their duties that is scheduled for a certain day. They do not just work and work to earn a living. People also needs to enhance their skills and learn new things for them not to be left behind by the rapid progression of economy. And with the help of those modern technologies, higher education and training programs can now be achieved easier through online. The mode of education that is acquired through the use of high technologies like computer and Internet service is what we call online education or distance learning. It suits well to people who have hectic schedules and are used to multi tasking. It benefits them a lot because of its flexibility and accessibility. Students here can learn while they are earning. They can study at their own pace without the worry of giving up their present job. As long as the student have the patience and hard work, they can surely finish their course degree on time and reach their goals in life. Online education gains popularity among working students and professionals who wants learning and working are done without conflicts with each other. It is their best option to achieve higher education since they can manage their schedule efficiently to avoid hassles. Many people participates here for the reason of cheaper tuition fees, and the freedom that online schools could give to their students. Online education programs could give the same quality of education that traditional schools could provide to their students. They offer hundreds of online degree courses for the students to have a wide selection to suit their interests. 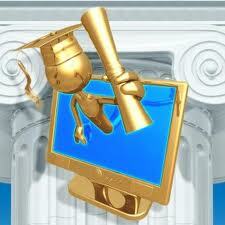 There are a lot of advantages that online education programs could give to its students. The success in this mode of learning only depends upon the behavior of a certain student towards online education. People who have effective time management and patience are the worthy ones for better careers, financial and social status in life. There are many successful online students who usually gains privileges in their field of career because of the advance education and trainings they earned. Only the hardworking and competitive people deserves to finish online education on time.